I was absolutely not going to post about Byron Bay Pale Lager today. But reader CraigC collected his mail and found the latest catalogue from Coles-owned First Choice…I had to share his outrage. Remember when Avis used being number two as a positive, with the famous “We Try Harder” campaign? This photo is an example of what happens when the Australia’s number two brewer and the number two retailer get together on a campaign. I would love to think that their campaign is called “We Lie Harder” but that would just be an easy line used used for comedic effect to achieve a cheap laugh and should not be interpreted in any way, expressly or impliedly, as describing or characterising the behaviour of the parties described in this article. 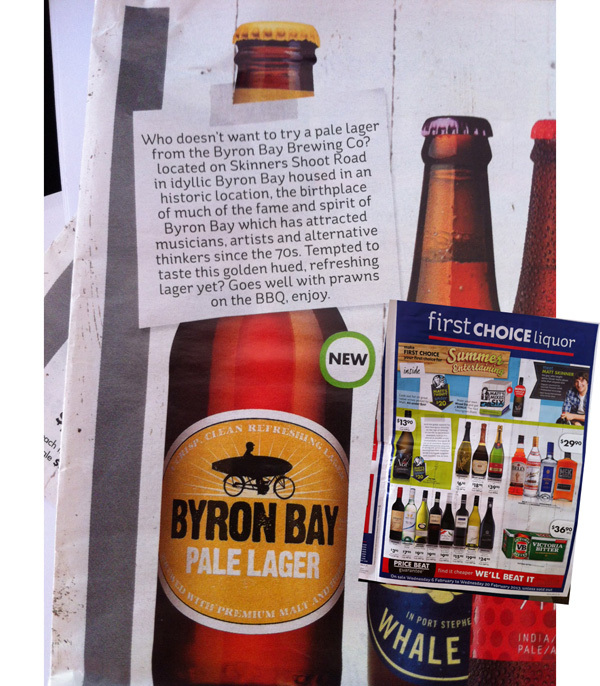 I can say, though, that I most assuredly do want to try a pale lager from the Byron Bay Brewing Company located on Skinners Shoot Road in idyllic Byron Bay… unfortunately Coles’ liquor outlets can’t help me with that unless they now provide travel services. I always thought that Carlton United Breweries was good at bullshitting, first with Crown Lager and now this. Apparently they have now perfected the art-form. It is interesting to note that they are both Lagers, maybe there is something in that.. I can see 2 beers I’d much prefer in that pic…. Although they both have had issues of their own in the past. Agreed Dan, though there are great differences between the CUB case for a host of reasons, transparency if nothing else. McLaren Vale recently issued a media release announcing they were moving their bottled production to Gage Roads. CUB issued a media release that, not only nowhere mentioned their name, but you saw how hard it was to get the information from them at all. I think the industry should devise a form of words, not because there is anything wrong with contract brewing, but because when they don’t, it opens the door to ever less credible industry participants who will water down their brands. 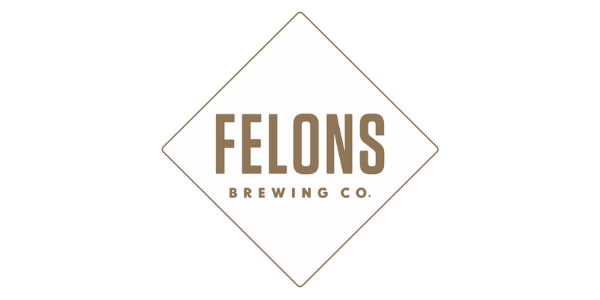 This is even more so in the case where the contracting brewery’s brand is closely tied to a geographic location. In the case of a brand such as Mountain Goat, I don’t think people will care much at all and it is very marginal a question for them, but unless breweries such they are clear, everyone else just tries to get a little advantage over everyone else until the line has slipped right down to what we see with CUB. In this case CUB, which has had no connection with this brand comes in and licenses it, brews, markets and distributes it, and feels no need to share that information with the public and seems to want to say, “hey, we’re just doing what everyone else is”. If brewers such as Mountain Goat, Murray’s, Two Birds put it on their label, it leaves brewers like CUB nowhere to hide. I agree, a little “mis-speak” here and a small omission there and it’s easy for the company to slip into a secretive state. It takes a little bit of respect. If we’re expected to pay their wages and choose their products over others, they should respect us. Communication is a huge part of respect.